Completed end of 2018, this WordPress website came out very nice with a refreshingly different template. This auto supply company specializes Heavy equipment Replacement Parts, After Market Automotive Parts, Original Toyota and Nissan Parts, Tools and High Quality Nuts and Bolts. This is actually TWO related but separate online stores on the same Magento installation, each with its own template. The main site is it’s used parts business and the second is new parts. Such a set-up is a standard feature of the Magento platform. A great concept to source Bamboo parts without going to the Bamboo. This site is colorful by nature of the being that of an author of children’s books. This template was nice and simple to set up and configure and easy to maintain. One of the most unique children’s templates I found and I wish that the owners would put it to more use. Very nice and colorful and definitely deserves to be used more. A computer wholesaler only, this site is strictly for wholesale customers. Website is an online catalog that the company staff updates themselves and they’re doing a great job. A Magento website with online payment using Wipay. This online merchant also has eight (8) stores provides quality computer parts at wholesale prices in Trinidad and Tobago. One of the best clients I’ve worked with. This site’s homepage had me stumped for a while to get it right, and in the end the slider stole the show with beautiful renderings that makes it pop. CPML is one of my earlier sites but got a facelift in 2015 when I updated the template and switched the layout from boxed to full width to keep with the modern website style. This site uses the FAC Payment Gateway in TTD via Republic Bank and is on the WordPress platform. My first WordPress E-Commerce site. This is one of the largest online stores in Trinidad & Tobago of 20,000 products on the Magento platform. A huge project with inventory syncing, FAC and local UPS integration. Party Pro is children’s entertainment and this site is extremely colorful, featuring a layer slider and bright, vivid colors. It has been a work in progress though and still not the final iteration. One of my ‘foreign’ clients and the second and last Carnival themed website I’ll do (the other is Firework Promotion Carnival Band). A 2012 project and I did a total redesign this year. Linda’s Bakery is a long time client and the initial site listed 8 locations and today it’s 14. I’ve done a redesign of the site in 2016 to bring it up to date as the company grows. A national brand and icon in T&T. Chief Brand Products has been in the kitchens of most every household for decades. Krave is a well known modern chic dining experience located in south Trinidad near the Marabella Roundabout. This site uses the local .TT domain extension. This site makes use of own images for a visually stunning homepage slider. It’s a door to door food delivery service serving San Fernando & Environs. I got this project via one of my partners whose client this is. It’s a basic corporate site for brochure purposes. Images are theirs. This site is circa 2012 and an example of how web design standards change in a short space of time. Obviously due for an upgrade. The ADB project was a relatively basic redesign from an old static coding format into the WordPress content management system so that staff can easily update themselves. Also a basic site and actually my corporate package. They preferred the boxed style with a background and kept the content simple with intermittent updates. My favorite ‘boxed layout’ site because of the owner’s very own superb image that really stands out. Nice animations on homepage for added touch. Approaching 50 years, Well Services has been a Leader In the Local Oil And Gas Industry in Trinidad & Tobago working with almost every major multinational oil and gas company. 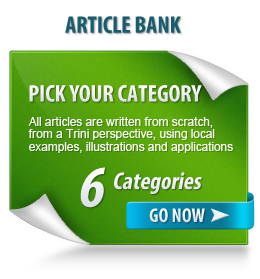 Another national and Caribbean brand, this site was a redesign to upgrade their outdated site. A great client to work with having found me via Google. Another project obtained via Google and one of my few South clients. Progressive wanted a look and feel to match their name and certainly got that. This long time client uses a landing page point of entry to direct to divisions but using same template. By design this site is purely brochure and used mainly for contact info. This site makes heavy use of over 40 separate slideshows and ended up being more work than I anticipated. All images are the company’s own and the homepage looks great. My alma mater and now my son goes here too (I pulled no strings). This is a labor of love I freely do for my old school. This year a special student committee is in charge of the site which will give them some good experience. I volunteered my services to this my daughter’s primary school. It turns out that a website was actually a requirement to qualify for the Diamond Standard programmme for public service. Modern but simple, this is a basic company site but still very professional. This client made use of one of my partners for email services. Another simple corporate site, this centrally based shipping company provides an integrated approach & client based solutions. Also a product from Google search. Another product of Google search, ETITT turned out to be one of my favorite clients, very easy to work with. Future phases will enable many template features for this training niche. This site was a pleasure to work on. My own accounting background was extremely helpful in understanding and positioning this site so configuring the content was very easy and I could focus on the marketing part.